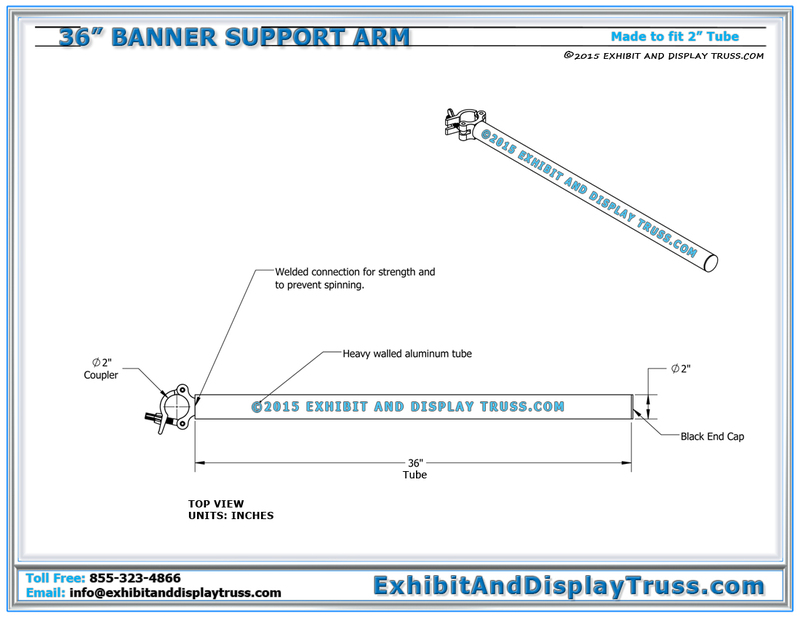 Heavy Duty Banner Support Arms are used for hanging or stretching banners between a pair. 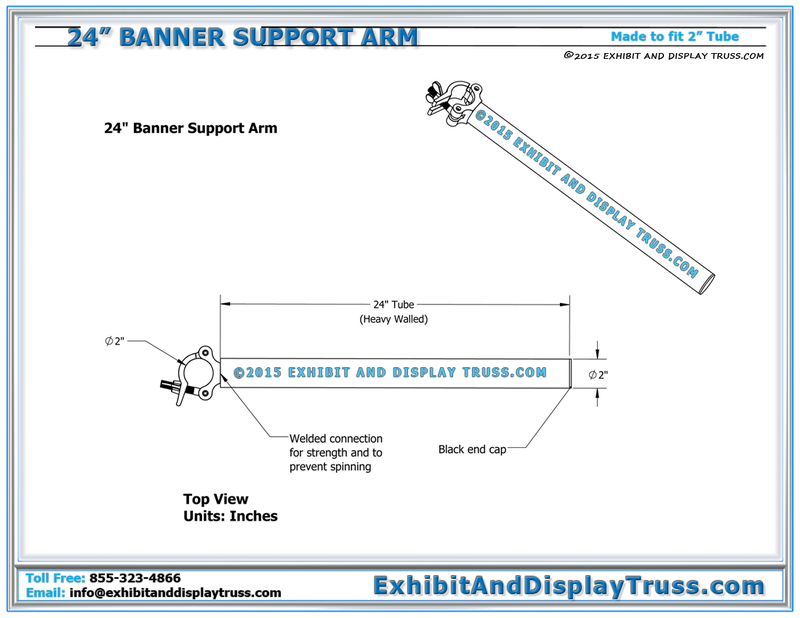 Heavy Duty Banner Support Arms come in both a 24″ long and a 36″ long version. They are made with heavy walled aluminum tube with a 2″ single coupler welded to the end for extra strength. The 2″ single coupler fastens quickly and securely around any 2″ chord or tube. 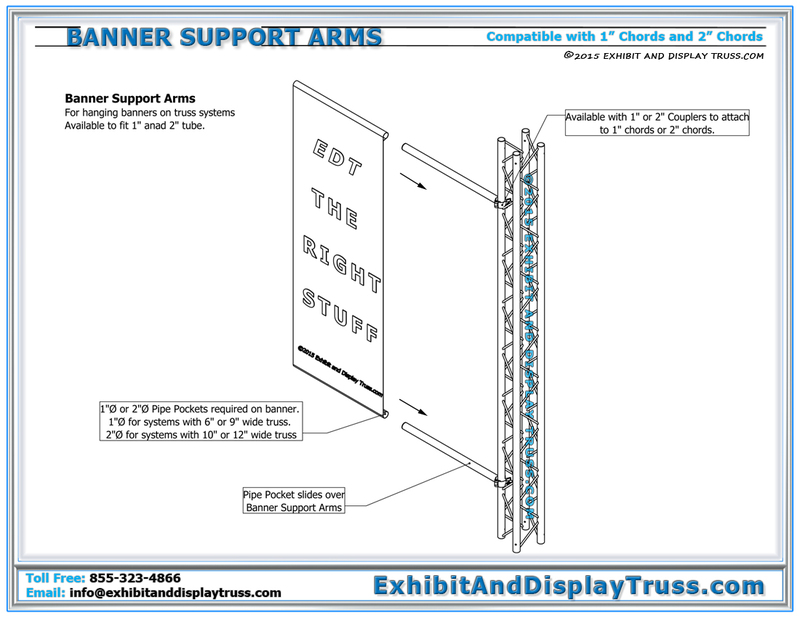 Heavy Duty Banner Support Arms fit any aluminum truss system or finish line that uses 2″ tube/chords. They can be added to any trade show display booth exhibit or finish line and start line. 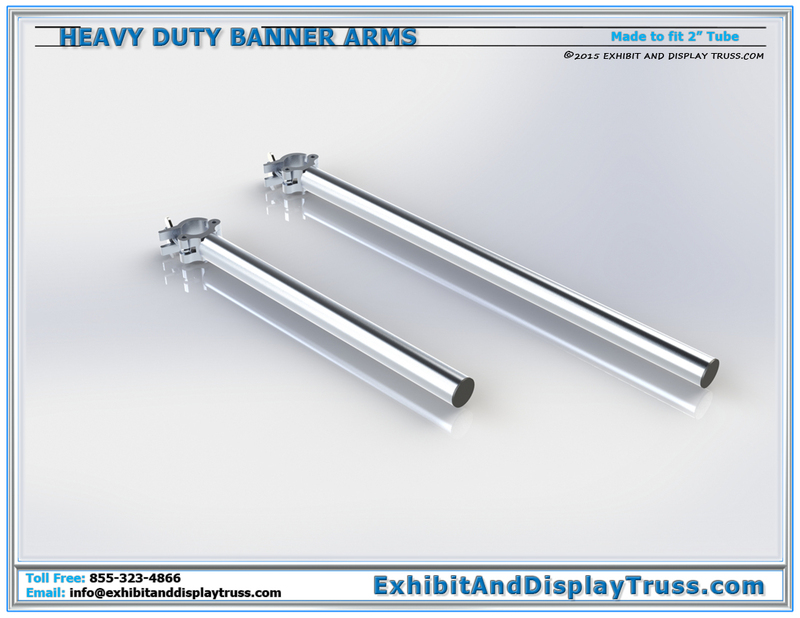 The light duty banner support arms instead use a swivel hook to attach to truss and does not provide the amount of strength offered by the heavy duty version. Custom lengths can be quickly made up to fit any booth or display order. 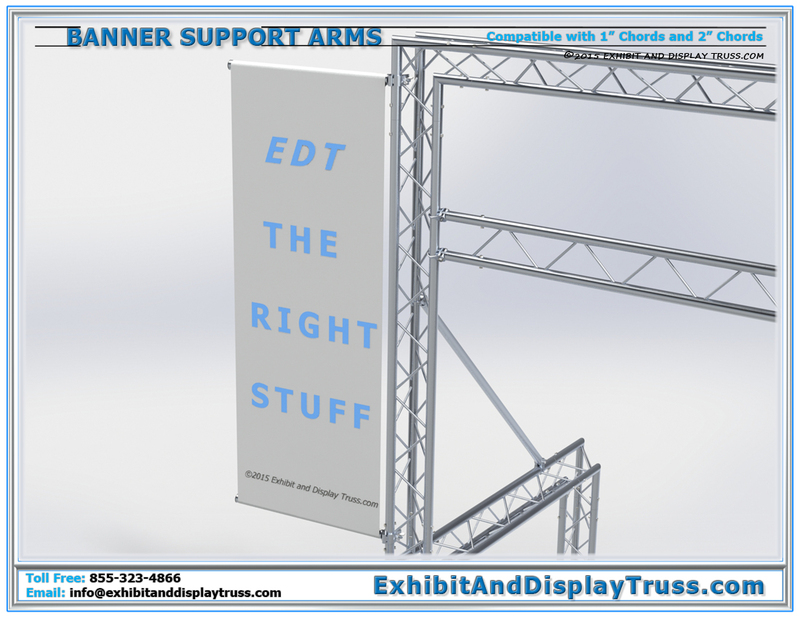 Ask us about your truss display systems design needs today as we’re always happy to help create your perfect trade show display booth or exhibit.